"Moon Rock" is a beautiful example of the popular Beneteau 373. She has lived on freshwater her whole life and been professionally maintained by her sole owner. She includes popular features such as a generator and air conditioning for keeping cool while at anchor. The Beneteau 373 earned the title "Boat of the Year" title by Cruising World Magazine. The cockpit is comfortable and well laid out for safe and easy handling. The patented innovative pivoting steering wheel making it easy to walk from the companionway through the open transom or just move around the cockpit while at port. Built to Beneteau's high-quality standards, the 373 is designed to be fast and comfortable. The interior boasts of ample headroom and the numerous opening hatches, fixed windows and ports provide ample natural light to create an open airy spaciousness seldom found in a boat this size. The warm and inviting wood interior is ideal for extended cruising and features a roomy head with a separate shower; separate freezer and refrigerator. 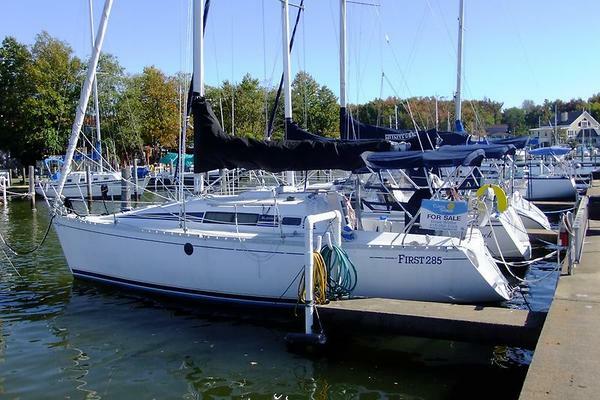 West Florida Yachts would love to guide you through a personal showing of this 37' Beneteau 373 2005. This yacht for sale is located in Austin, Texas and priced at $99,500. For a showing please contact us by filling out the form on this page and we will get back to you shortly! The Beneteau 373 offers more light and brightness plus extra headroom for commodious space below. Her comfortable cockpit has a patented innovative pivoting steering wheel making it easy to walk from the helm to the companionway. Available in a two or three cabin layout, the 373 is a classic sailing yacht with eye-catching appeal.